Blog Awards and a big Thank You! First, I want to say a big “Thanks!” to each of you for reading, commenting on, and following my blog! I’m thankful for the wonderful friends I’ve made during the two-and-a-half years that I’ve been blogging! Second, I want to thank several talented bloggers who nominated me for some awards! Thank you so much…it’s an honor and great to know that you enjoy my blog! Some of these awards were given to me months ago, so I’m late in acknowledging them and I apologize for that! 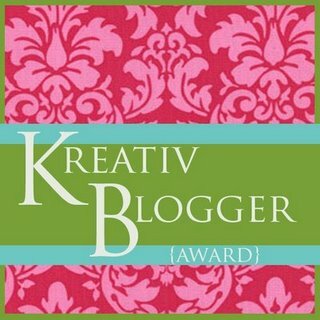 Jenny, from One Loved American Girl, nominated me for the KREATIV BLOGGER AWARD. She blogs about her life as a army wife, mom, and believer, and also shares recipes, meal planning ideas, money-saving tips, and some crafty projects. Her Frozen Hot Chocolate recipe sounds really yummy! 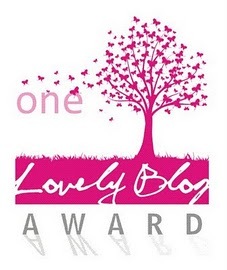 Cara, from This Little Light, nominated my blog for the ONE LOVELY BLOG AWARD. Cara has a passion for writing, enjoys crafts and DIY projects (she has some great things on her Pinterest boards!) and shines the light of Jesus through her words and actions. She has a wonderful online store where she sells her crafting creations, Craftingwater, that help support bringing clean water to those in need all over the world. This award is from Faith at Faith, Words, and Whimsy, and is given out to blogs that have positive and uplifting content. Faith describes herself as a bubbly introvert who loves ice cream, books, and writing (hey–I love those, too! 🙂 ) She’s a graduate from Kenyon College and blogs about everyday experiences that touch her life. My most recent award was from at350degrees, a blog that features lots and lots of yummy baked treats! From cookies and brownies to cakes and pies, there are many things there to satisfy your sweet tooth. Like the Chocolate Pudding Pie–sounds like a great quick and easy summer dessert! I enjoy gardening but since I’m in an apartment for now, I’m into container gardening–my basil, mint, and rosemary are doing really well! I have a full-time design job, but I also enjoy writing…part of the reason I started blogging. I’m more of a baker than a cook, but blogging about food has helped me expand my food horizons by trying out new things. All of the furniture in my apartment is either a hand-me-down, antique, or flea-market find…nothing matches, but it all seems to go together somehow! A great vacation for me is going to a white sandy beach, looking for seashells and sea glass, and relaxing on the beach. 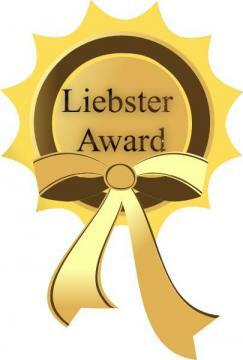 I don’t need to share anything for the Liebster Award. Favorite color: Teal…it’s such a pretty, soothing color. Favorite animal: dogs…I’m definitely a dog person. Favorite non-alcoholic drink: I love Starbucks Light Mocha Frappuccino. Facebook or Twitter? : I use Facebook more right now, but I think Twitter is great for quick communicating. My Passion: I like a lot of things, so it’s hard to choose just one. I guess creating things is a passion, whether it’s writing, designing, baking, or crafting. The creative process is something I enjoy. Favorite pattern: I have always liked stripes and dots. Favorite flower: Hydrangeas…I love them! I use lots of dried hydrangeas in my home decorating. Now it’s time for me to nominate other blogs! Thank the blogger who gave the award and link back to them. Nominate 7 other bloggers, let them know, and link them back to your post so they know what to do to accept the award. My Mother’s Apron Strings: Susan is a great baker and creates all sorts of wonderful desserts. Not only that, she is a talented sewer and has an apron giveaway every month! Pretty Baking: Ger loves desserts and posts all sorts of delicious treats on her blog. The Townhouse Homesteaders: This family of three, currently in a 1280 sq. ft. “homestead,” share about their journey to self-sufficiency, with recipes, gardening tips, and DIY projects. Bam’s Kitchen: Bobbi currently lives in Asia and creates delicious and unique international dishes. Mommy in the Mountains: Leah lives in the Rockies and blogs about her recipes and creative DIY projects. My Dear Bakes: A showcase of creative 3-D cakes, along with baking tips and how-tos. Because (I Think) I Can: Leanne blogs about crafts, DIY projects, life, and parenting. Link to them and leave them a comment letting them know you’ve given them the award. Oh My Foodness: Hope blogs about eating good, healthy, yummy food on a budget. The Family Feed: About baking, cooking, and family with lots of great photos. Four Meals: Sarah loves to eat wholesome food and has great healthy recipes that are budget-minded, too. Sage and Sound: Kathleen’s on-line cooking journal has a variety of tasty dishes to try. Endeavor: Phil, a high school student, created this on-line journal where he shares his photography taken from around the world. Thank and link back to the nominating blogger. Post the award image to your blog if you’d like to. Karista’s Kitchen: Karista features fresh and healthy food with yummy-looking photos! Cozycakes Cottage: Danielle blogs about food, crafting, bargain-shopping, and being a mom in her cozy cottage. Noble Pig: Cathy blogs about the fabulous food she makes and the winery she and her husband started. Anna Shortcakes: Anna loves trying new recipes and posts great photos with them, too. Cute Everything: What can I say? Everything on this blog is cute! Michelle blogs about crafts and fun foods. What’s On the Stove? : Lots of great comfort food and a variety of regional and ethnic recipes. The Simple Abode: Meagan writes about faith, healthy living, homeschooling, homesteading, family, and creative living. Ms. Redo: Mary blogs about thrifty finds, vintage treasures, sewing and crafting, faith and family. Nominate 10 other bloggers, let them know, and link them back to your post so they know what to do to accept the award. 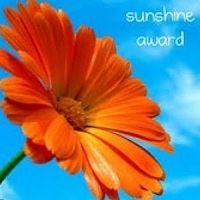 Post the award flower image. Marijo Sings: Marijo writes beautiful, inspiring poetry. Dsgnmom’s Blog: Janiece writes about everyday life, family, and parenting. Getting Freedom: Money management, home life, and couponing. By Their Fruit: Sarah, a soon-to-be college graduate, seeks God’s guidance and direction in every step and blogs about her journey. Yarn Over: Rachel blogs about family life in Hawaii, her DIY projects and knitting, and some recipes. The Next Thing: Includes posts on recipes, sewing, crafts, gardening, and reflections on faith, life, and God. With a Grateful Prayer and a Thankful Heart: Posts on faith, family, food, and flora. Nana’s House: Laurie writes a wonderfully inspiring blog about faith, family, and everyday life. Brown Sugar Toast: Christa “adds sweetness to the mundane” with yummy recipes, craft and DIY ideas, and reflections on family and faith. 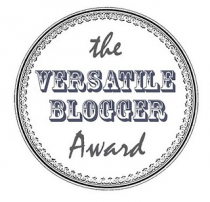 Copy The Versatile Blogger Award logo and place it in your post. Lightly Crunchy: Heidi, a busy wife and mother, has many great recipes and DIY projects on her blog. Rufus’ Food and Spirits Guide: Greg and his wife Katherine are always posting a variety of great recipes and share some gardening tips, too. Belle Grove Plantation Bed and Breakfast: A blog about this Virginia Plantation (birthplace of James Madison), with lots of interesting history and some recipes. Can’t Stay Out of the Kitchen: Teresa has lots and lots of yummy looking and sounding recipes! Granola Meets Grits: Sharon posts mostly about simple, nutritious, vegetarian, plant-based recipes. Hungry Hugheys: Mrs. Hughey shares delicious-sounding recipes that she makes for her family of five. Cooking on the Ranch: Lea Ann, from Denver, posts recipes that reflect the flavors of the West. Spoon Feast: A food blog that has lots of veggie recipes and some herb gardening tips. The Sisters Cafe: Lots of great recipes favorites from five sisters who love creating good food. Favorite Family Foods: Home cookin’ from Bobbi, who loves making and sharing her recipes. Foodie Joanie: Joanie likes trying out healthy recipes that are low in calories and carbs, but big on flavor and freshness. The Nashville Fork: A variety of recipes and restaurant reviews of Middle Tennessee restaurants. Ashley’s Homemade Adventures: Ashley tells you how to make everything from natural, homemade detergents and cleaners to made-from-scratch yeast rolls. Better than store-bought! There are so many great sites out there! Hope you have the chance to check out some of these blogs–it’s always fun to discover new ones! This entry was posted in Uncategorized on August 3, 2012 by nancyc.